Every little girl deserves to be a princess on her birthday! 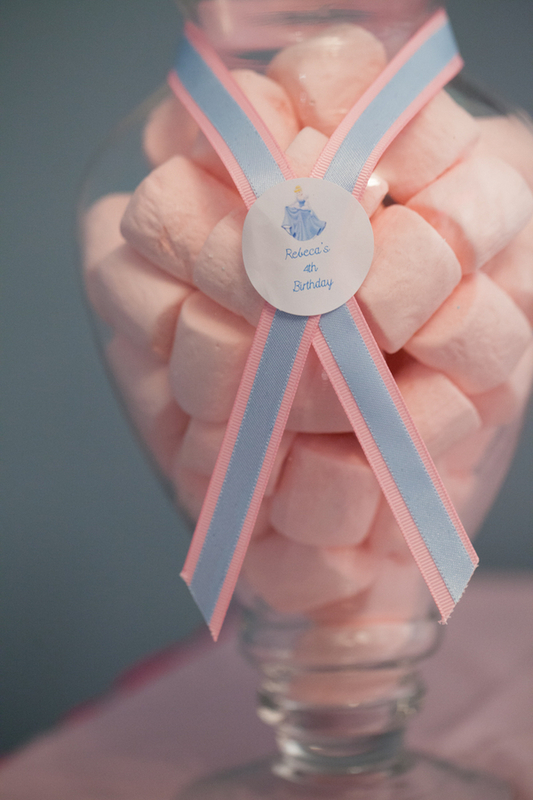 But that doesn't mean you have to just think "pink" - throw in some blue so boys feel welcomed, too! 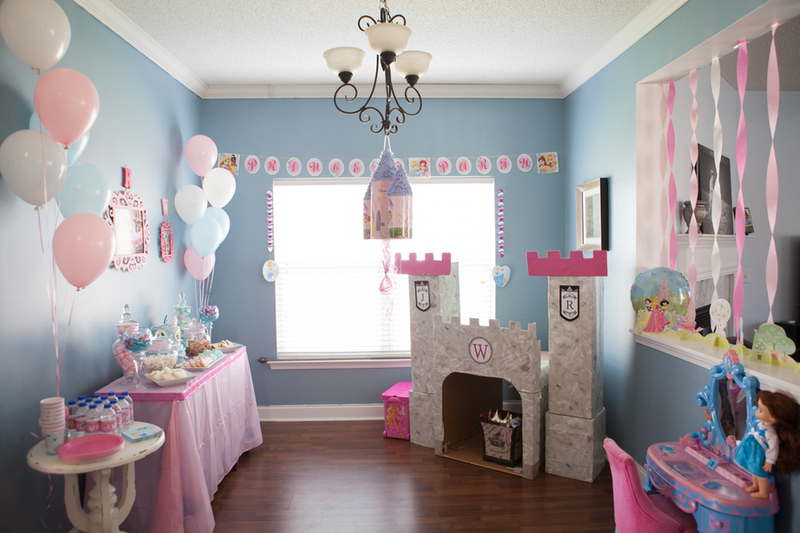 That's what Kisha of Whitney Photo did when she threw her daughter this adorable princess-themed birthday party. 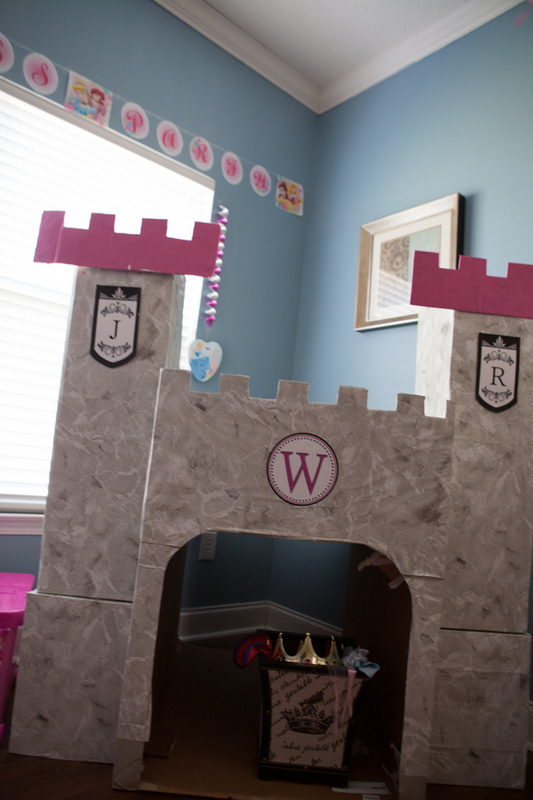 She sent her photos in, along with some awesome DIY details so you can recreate the look for your royal highness! Where would a princess be without her castle? Kisha's sister easily constructed the one above using cardboard boxes and contact paper. Complete with a bucket of dress-up clothes and crowns, the castle doubled as a photo booth! Since Rebeca already had her royal portraits taken, Kisha was able to display them using this DIY wall gallery. 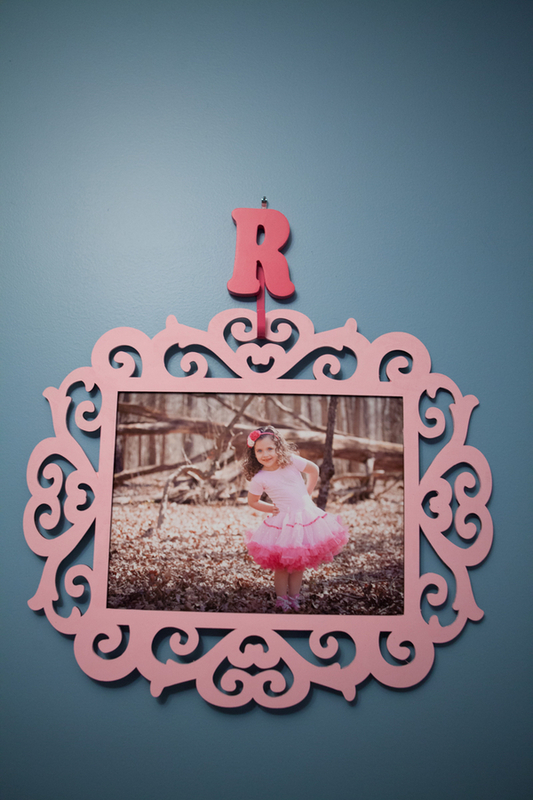 She purchased Rebeca's initials, some ribbon and the frames, which she painted to match the pink and blue theme. 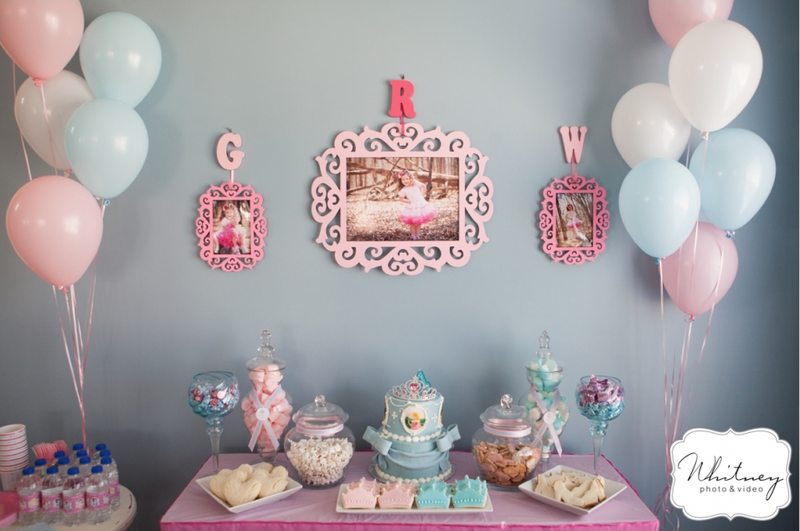 The food display was fit for a princess with a variety of pink and blue snacks cleverly arranged together. 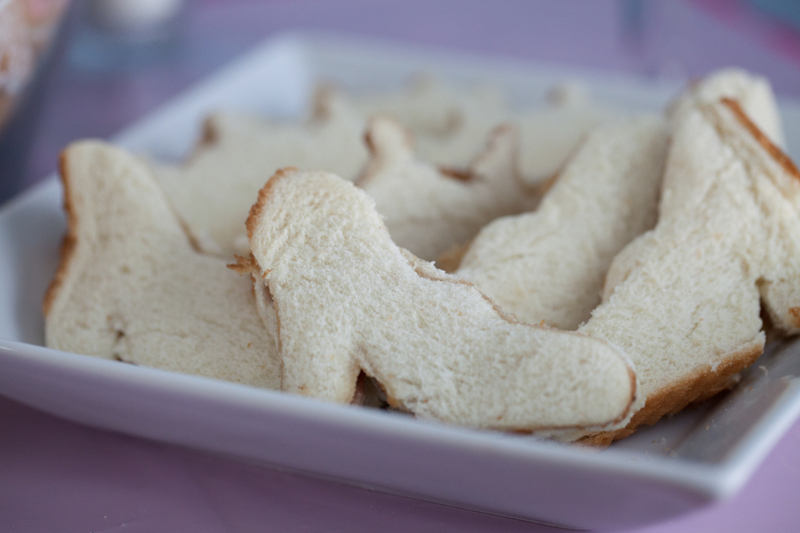 Kisha dyed the marshmallows using food dye, and used cookie cutters to make the sandwiches into heart and heel shapes. Even the water bottles were transformed using princess themed bottle wrappers. 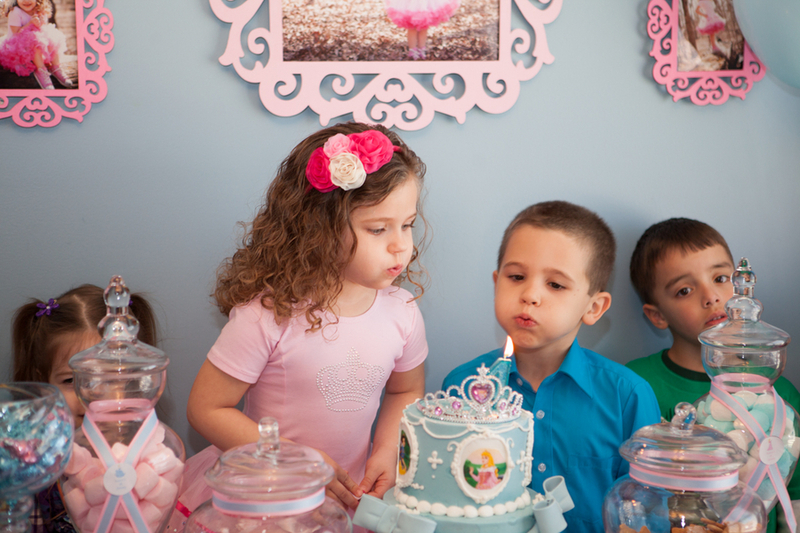 Of course, a princess party wouldn't be complete without a tiara-topped cake! From crown to slipper, this party was adorable. If you want to add a royal touch to this theme, hire a costumed character! 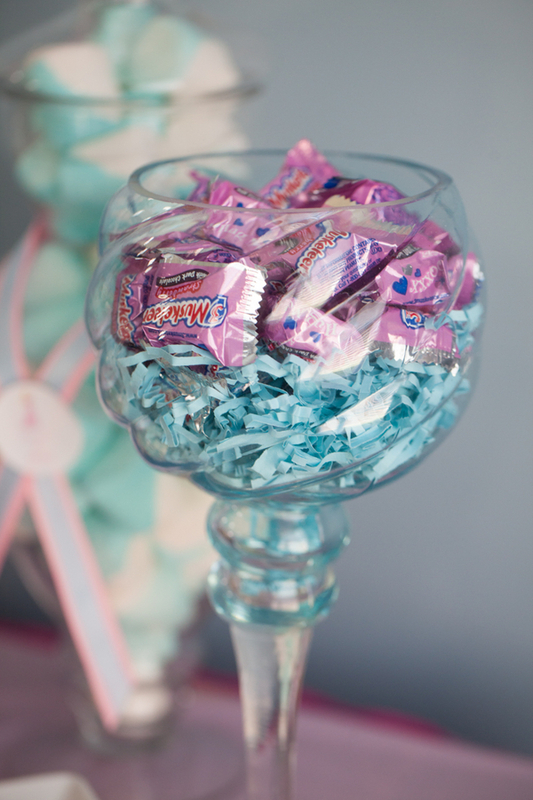 Little guests will be delighted when they see a "real" prince or princess. Find the perfect character for your event here.